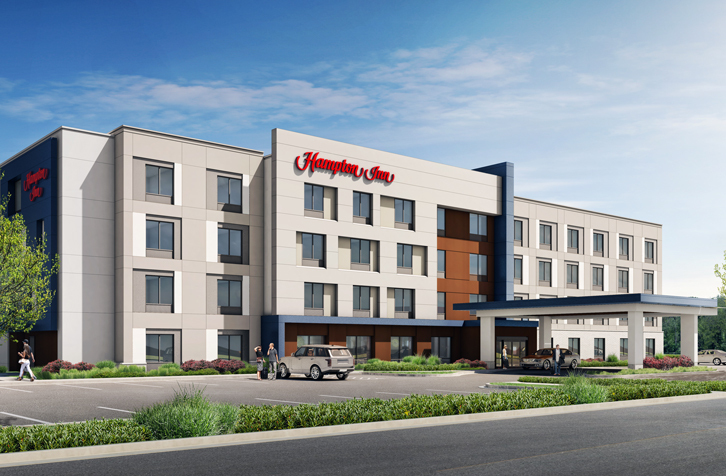 Parent company Hilton released this latest prototype for new Hampton Inn & Suites in May. 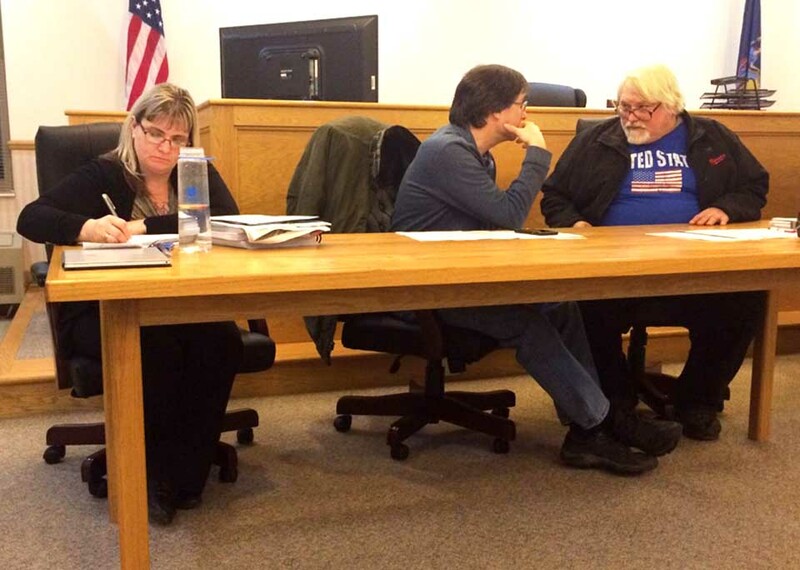 HARTWICK – Fire protection, entrances onto Route 28 and septic issues were up for discussion when plans for a Hampton Inn & Suites in Hartwick Seminary came before the town Planning Board Tuesday. A public hearing has been set on the project for 7 p.m. Tuesday, Jan. 8, the planning board’s next meeting. 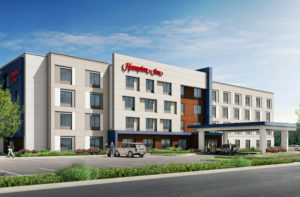 Skyline Hospitality, which is affiliated with Erfan Khan’s Rainbow Group, owner of the Holiday Inn Express here and hotels in Oneonta, is planning a four-story hotel on Route 28, in the trailer park just south of Dollar General. Engineer Rudy Zola, representing Skyline, said he is awaiting a report with comments from the town fire department after walking the property and discussing fire-fighting issues presented by what would be the town’s tallest building. Zola confirmed it, saying, “We are. And the planned sprinkler system will exceed code.” Also, he said, plans are to discuss the availability of the Cooperstown Fire Department’s ladder truck with firefighters in the village. “The driveway and grounds will allow a ladder truck complete access to the structure,” the engineer said. “Would own the land for the septic system?” Kennedy continued. One member of the public called out to say that one of the three entrances was not really an official entrance, but a strip of grassy land. The comment highlights the “need for one entrance designed with safety and easy access in mind,” Zola said.